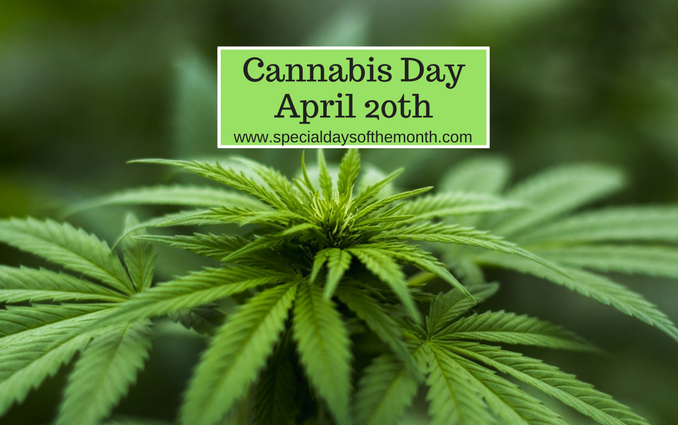 Cannabis Day, also referred to as 420, is a day that tens of thousands of Americans gather to celebrate cannabis or marijuana. Major rallies occur across the country, particularly in places like Colorado and California, where marijuana is now legal. As support for marijuana legalization grows, the festivities are becoming more mainstream. When is Cannabis Day Celebrated? Every year on April 20th or 420. How is Cannabis Day Celebrated? Cannabis Day is celebrated by pot smokers around the world as a reason to toke up with friends and massive crowds each year. Some people celebrate Cannabis Day by getting high having fun. The marijuana legalization activists try to make Cannabis Day celebrations more formal by framing it as a moment to push their political agenda. Some celebrate the legalization since more states are now adopting it supported by popular people’s opinion. Both marijuana smokers and non-smokers recognize April 20 or 4/20 as a national holiday for cannabis culture. 420, 4:20, or 4/20 (pronounced four-twenty) is a code-term in cannabis culture that refers to the consumption of cannabis, especially smoking cannabis around the time 4:20 p.m.
April 20 has become an international counterculture holiday, where people gather to celebrate and consume cannabis. Many such events have a political agenda to advocate the liberalization / legalization of cannabis. On Cannabis Day many marijuana users protest in civil disobedience by gathering in public to light up at 4:20 P.M.